The Plantronics M170 mobile headset offers hands-free convenience anywhere you go. Its convertible design can be worn with a headband or an earloop on either ear, depending on whether you want greater stability or convenient small size. The pivoting noise-canceling microphone keeps your voice crystal clear, even in noisy environments. 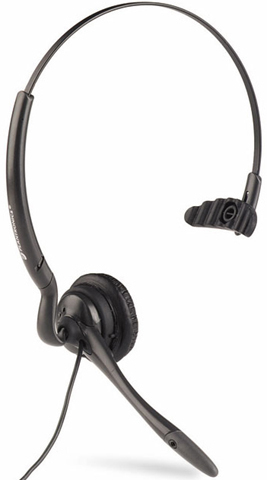 Comfortable, durable, and lightweight, it also works with headset-ready cordless phones and has a microphone volume switch so you can be heard clearly. Backed by an unconditional one-year warranty and industry-leading customer support. Buy an M170 and free your hands today.